Big Sur- Big Sur perfume roll-on shares notes of black sage, moss, smoke, dry grass, redwood wet with sea mist and incense, wrapped in sultry champaca, a West Indian magnolia both floral and spicy and often burned at ashrams as incense. Big Sur is equally suited to both women and men. Nephrite Jade gemstone roller; the very same gem that is found at Jade cove, beneath the ocean waves and throughout the area. 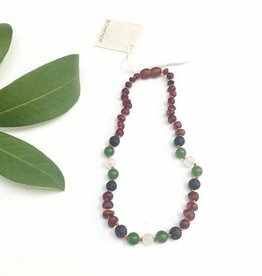 The ingredients of Big Sur are known to support the heart chakra - the energy center that influences love, relationship and self care. Jade is reputed to bring good luck, abundance and lasting relationships. 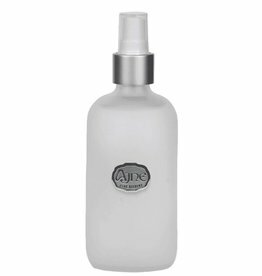 Calme- Calme is a deep and grounding fragrance with soothing notes of amber and musk. It has a smooth richness of West Indian ambrette seed with subtle warmth of Ethiopian frankincense and savory vanilla bean from Madagascar. 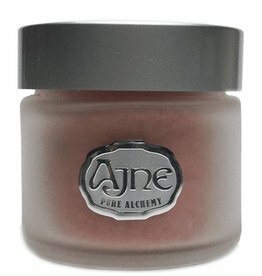 The ingredients of Calme are reputed to support the base chakra. Garnet vibrates with the very same energy resonance as the plant oils in the formula. Together they enhance feelings of security, stability and calm. Citron- A fresh, fragrant and uplifting blend of citrus and mild spice. Think warm liquid sunshine and fresh Mediterranean air. The ingredients of Citron are reputed to support the solar plexus chakra. Citrine vibrates at the same resonance as the plant oils in the formula. Together they help strengthen confidence and ward off tension and stress. Coolbleu- Coolbleu builds note by note with a melodious intro of citrus followed by a burst of verbena leaf, fresh basil and French tree moss. The scent is equally suited to women and men. The ingredients of Coolblues are reputed to support the solar plexus chakra. 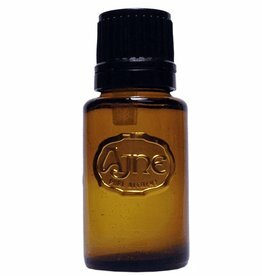 Citrine vibrates at the same energy as the plant oils in the formula. Together they help ward off stress and promote renewed confidence. deLavande- It is subtly green with a gentle complement of smoke, spice and vanilla almond wood. Of course, it's heart is an herbaceous trio of lavender from France, Bulgaria and...you guessed it...Carmel Valley California. It is equally suited to men and women. The ingredients of deLavande are known to support the throat chakra. Turquoise vibrates with the same energy as the plant oils in the formula. Together they amplify and focus the energy that gives voice to reveal your personal truth and thus your dreams. Desir- Desire contains nature's most potent aphrodisiacs. It unfolds with luscious Moroccan jasmine, smoky Australian sandalwood laced with cacao - the key ingredient of dark chocolate. And sprinkled in a few precious drops of ancient, exotic oudh - perhaps the world's most rare scented oil. The ingredients of Desire are known to support the sacral chakra. 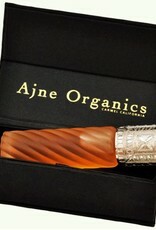 Carnelian vibrates with the very same energy as the plant oils contained in the formula. Together they amplify the energy to attract prosperity, creativity, romance and fun. Nouvel Amour- Nouvel Amour is a love poem in scent - a soft, sweet floral that unfolds with fresh pink grapefruit, precious tea rose and a warm embrace of almond-vanilla candy and Himalayan incense cedar. The ingredients of Nouvel are known to support the heart chakra. Jade holds the vibrational energy that enhances the plant oils. Together they emanate and attract love, abundance, good luck and call us to self care. Om- A consciousness-altering blend of smoky sandalwood, Himalayan incense cedar, deep forest lichen and smooth transcendent musk. One sniff and you'll agree, there's no place like Om. Equally suited to men and women. The ingredients of Om are reputed to support the crown and base chakra. 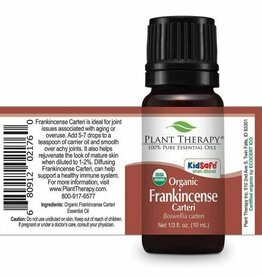 Garnet magnifies the energy of the plant oils contained in the formula. Garnet grounds, calms and provides a sense of security. Passion- Passion is a sultry floral oriental blend with rich blood orange and a gentle touch of soft bergamot, embraced by red Turkish roses and heady white magnolia bathed in rich seductive musk. The ingredients of Passion are known to support the sacral and heart chakra. Carnelian magnifies the vibrational energy of the plant oils contained in the formula to inspire creativity and attract fun and romance. Printemps- A complex, soft tropical floral that some say captures the essence of the parks in Paris and the French countryside after the rain. The top note features jasmine. It draws you deeper with flowering linden blossom. The mixture is grounded in rare South Pacific barks and notes of dry drift wood. Printemps contains ingredients reputed to support the throat and heart chakras. The vibrational energy of turquoise matches and magnifies that of the plant oils within the formula enhancing the powers of voice, truth and self nurturing, love and of course, romance. Espoir- Hope springs eternal with fresh and powdery yuzu citrus laced with subtle hints of green tea and honey. Its heart brings heady honeysuckle and stone fruit with a base of gentle, green wood and Yukon balsam. The ingredients of Hope are known to support the solar plexus chakra. Citrine vibrates in the same energy spectrum as the plant oils contained in the formula. 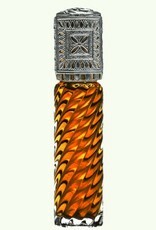 Together they synergize to magnify the energy of courage, confidence and peace, as they help repel stress and tension. Roshambo- A complex fusion of heart wood notes and deeply fragrant grasses including patchouli, sustainably-grown Australian sandalwood and a touch of Italian bergamot. The scent is equally suited to women and men. The ingredients of Roshambo are reputed to support the sacral chakra - the energy center that influences creativity, prosperity, romance and fun. Carnelian influences all the same and is also known as the success or prosperity stone. Bloom de Nuit- Bloom wafts over you like the trade winds with the heady scent of flowering orange blossom surrounded by subtle green leaf notes and rich rock rose. 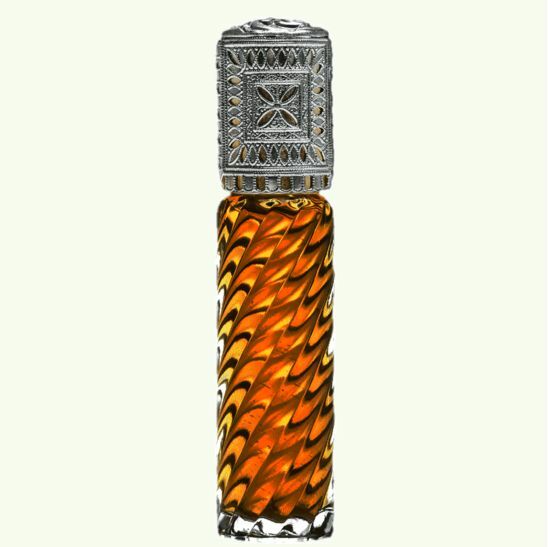 Its depth comes from just a touch of amber mixed with deep heart sandalwood. The ingredients of Bloom are reputed to support the crown and heart chakras. These amethyst stone vibrate at the same energy resonance as the plant oils in the formula. Amethyst attracts inner bliss, wards off negativity and provides connection. Houston- Breathe in the scent of adventure- fragrant grasses, fresh citrus, canvas and a wisp of pipe tobacco and leather. Houston is equally suited to women and men. The ingredients of Houston are reputed to support the throat chakra. The turquoise stone shares the same energy as the plant oils in the formula and inspires us to speak our truth, share a story, and give voice to our dreams. Carmel- This scent truly evokes the feeling of Carmel. 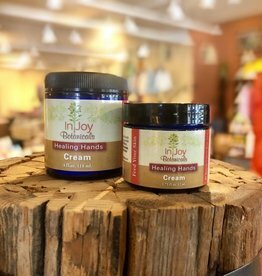 Pine, cypress, and soft rock rose will remind you of time spent in this beautiful area! Shambala- An ethereal combination rare and precious tropical essential oils - blue lotus flower, green tea leaf, red jack boronia flower, star jasmine, champaca and oudh wood bathed in smoky sandalwood incense. The ingredients of Shambhala are known to influence the crown chakra. Amethyst is said to possess the same healing energy as the plant oils in the formula. It attracts wards off negativity and attracts bliss, connection and inner peace. Summer of Love- This deeply sensuous blend begins with tangy blood orange, followed by intoxicating night-blooming jasmine. It's pulse quickens with luscious dark chocolate enveloped in smoky oudh wood and nag champa incense. Careful! It's a potent aphrodisiac! Just ask those that were at Woodstock...well, if they can remember! 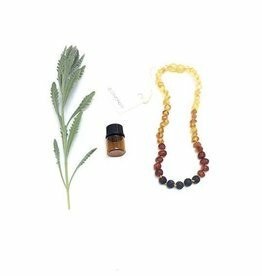 The ingredients of Summer of Love are known to support the sacral chakra, and the carnelian stone as its energy enhances the vibration of the plant oils influence creativity, romance and fun. Yuzu- A green, fresh fragrance that teases with the tang of pink grapefruit interlaced with the deeper, luscious zest of Japanese Yuzu - a unique complex citrus that imparts nuances of green lime and powdery bergamot. 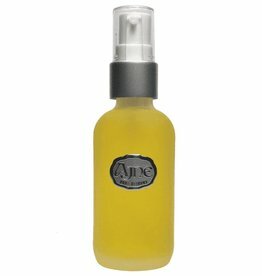 The blend draws lasting power from aromatic woods of cypress and juniper. The ingredients of Yuzu are reputed to support the solar plexus chakra - the energy center that handles digestion, elevates confidence and, if left unattended, may hold onto stress. Citrine's energy helps ward off stress, ease digestion and instill confidence. Contains: Our proprietary fragrance composition of only 100% natural essential oils and absolutes distilled from flowers, fruit, citrus, seeds, grasses, leaves, bark, wood and spices via cold press, hydro, steam, CO2 or soxlet extraction and blended into a base of organic jojoba oil. 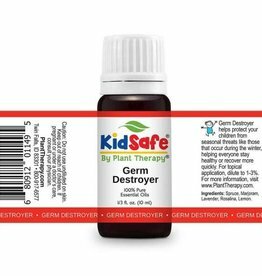 May contain isopropyl palmitate from certified rainforest-safe (RSPO) palm oil. All formulas are perfume strength to enhance lasting power.